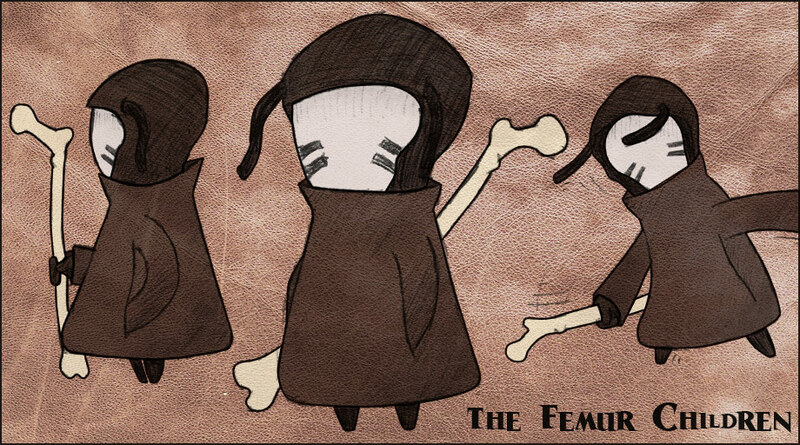 These are the first concept sketches for some new characters of mine, the Femur Children. (Note: only one of them is shown. It's a whole species, so there's a fair bit of diversity not shown here). They get their name from the bones they carry around with them as weapons, because no one has ever seen any of their flesh: they clothe themselves in dark cloaks and quartz masks. Made with ballpoint pen, blank paper, my hp scanner, and Photoshop CS3.